The Siena/Francis House welcomes, shelters and empowers individuals experiencing homelessness to navigate their own path to safe and appropriate housing. 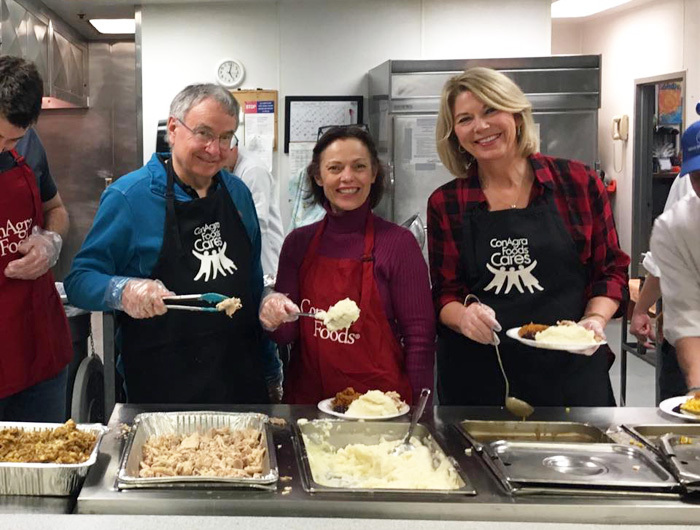 Help make our community a better place by serving a meal, organizing donations or sharing your gifts in another way. Learn more about volunteer opportunities by clicking below. I met Heather the day after she sought refuge at Siena/Francis House. She was fleeing an abusive husband, and could barely look our staff in the eye when she darkened our doorstep requesting emergency shelter. Heather had unsuccessfully attempted to hide her swollen black eye behind her long hair, and it was hard to miss the golf ball-size lump on the back of her head. Siena/Francis House has been in the news. Click on the links below to view the stories. A group of veterinarians and volunteers is on a mission to help the most vulnerable pets and owners in the community. With one of the coldest and longest winters in recent memory, the Siena Francis House is doing its best to keep up. Hundreds of men and women looked for warm clothes and shelter Sunday.